We are holding a skill share on sewing machine maintenance, with a textile mending bonus, from 11am-1pm on 23 January. This will be an event by Hackney Fixers, the Restart Project, Traid and special guests Bridget Harvey and Jennie Caminada, so we'll definitely have a large aray of skills in the room. 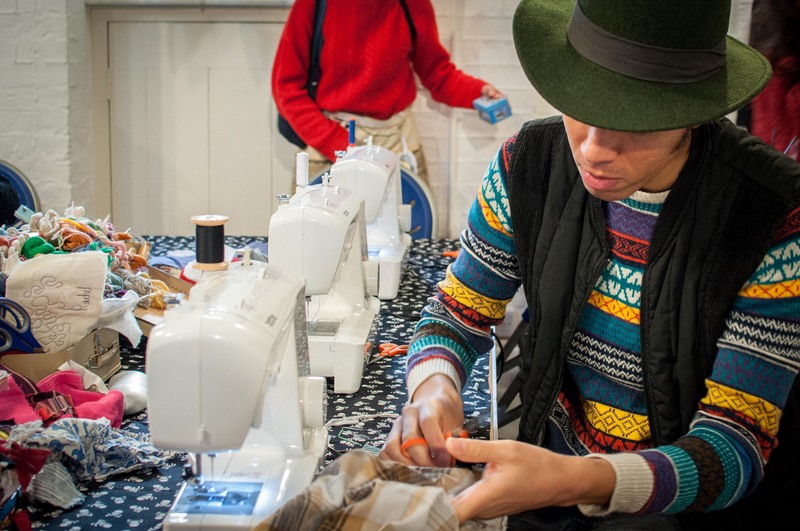 RSVP for Hackney Fixers Skill-share workshop - Sewing machines and textile repair to add comments! Thanks, James. I must have misread it slightly...! The WIki article at https://therestartproject.org/wiki/Sewing_machines looks like what I was hoping for. Aside from the perennial problem of keeping my 40+-year-old one going properly, there's been a flurry of rehoming sewing-machines on Streetlife.com lately and I'm going to put the link in there - as well as recommending Restart parties all the time. Anything to avoid duplication - not to mention the effort involved in hauling heavy old machines around town! Yes, that is the write-up. There's now also a link to the sewing machine Wiki page on there. Thanks, James. Either I didn't see it or I didn't read it fully, not expecting you to be running another additional fixing event so soon after the Big Fix. I don't suppose anyone took any notes of what was covered...? Fortunately, although I got asked for help to solve sewing-machine problems yesterday, the only good bit of advice that I've ever picked up from a Singer repairer turned out to be exactly what was needed! Hope that was covered on Saturday. I'm sorry to hear that. It was in the Hackney Fixers newsletter which came out 9th Jan. I'll check the mailing list and add you if not there. I wish I'd known that this was happening, sufficiently in advance to get there - and to tell other folk about it! All that seemed overtly to be going on there today was a standard Restart party.